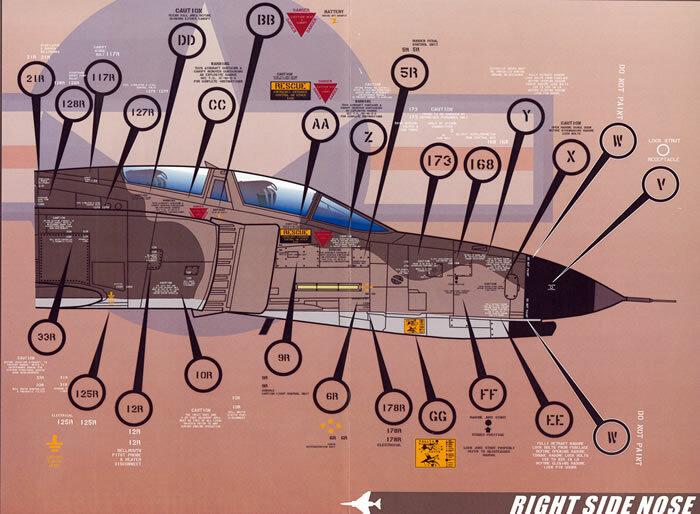 A complete set of data for single F-4E airframe fitted with slatted wings. 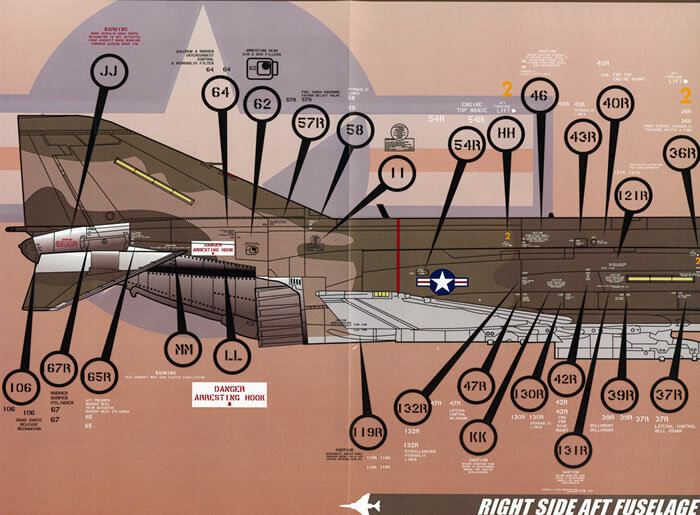 A well thought out and well produced sheet from Afterburner Decals. Whilst the task of correctly applying all of the items will not be easy by any stretch of the imagination the end result will be truly worth it. 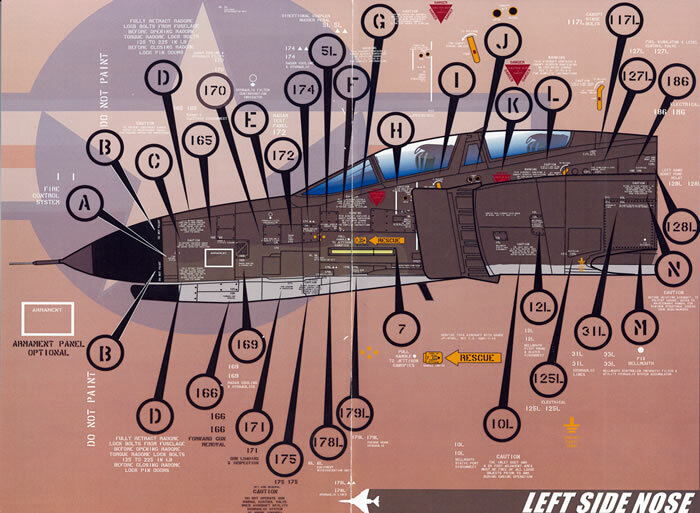 If ever there was an aircraft that was covered in stencil data and maintenance instructions it was the McDonnell Douglas F-4 Phantom II. Whilst the airframes of the Navy versions of the F-4 did exhibit seemingly volumes of it the F-4Es USAF finished in the “two greens and a tan over light grey” South East Asian (SEA) camouflage scheme trumped them all! 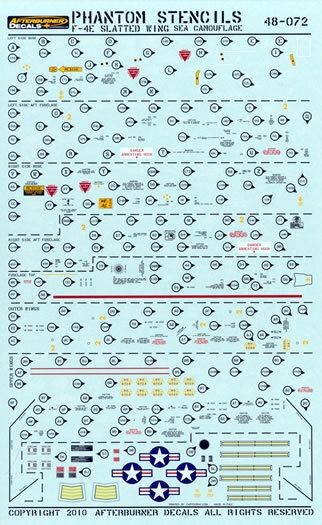 Whilst a lot of modellers are more than happy to finish their 1/48 scale models with just the larger and more visible items of stencil data there are some that want to include every single item. 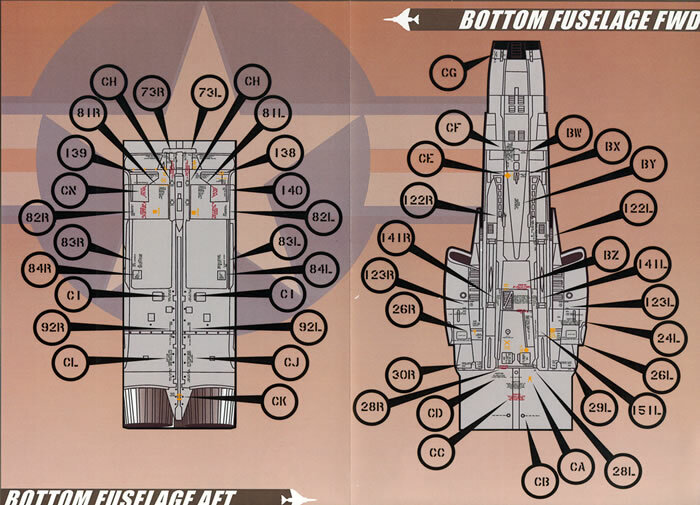 Afterburner decals recognise this and it is the latter type of modeller that this release has been aimed at. 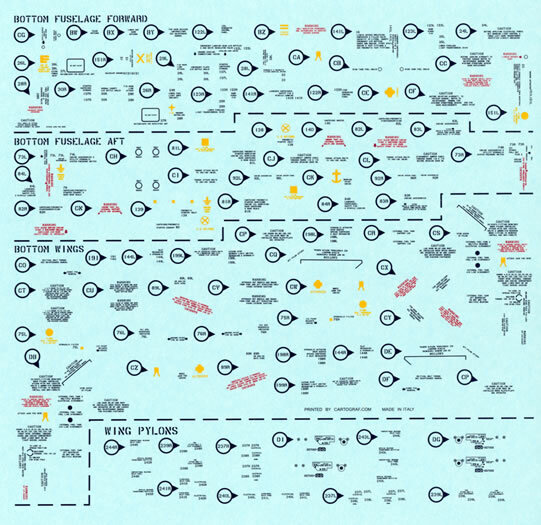 You get two separate sheets with this release, both of which are literally crammed with decals. The task of identifying each item (and some of them are very small!) 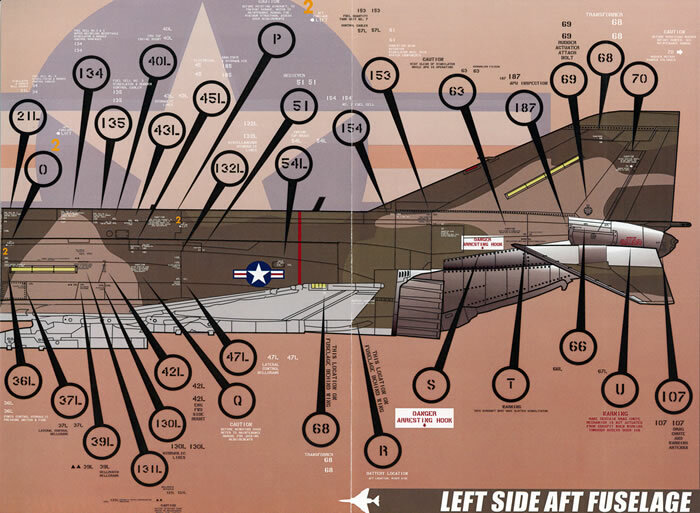 and showing where they should be applied has been approached logically by the guys at Afterburner Decals. 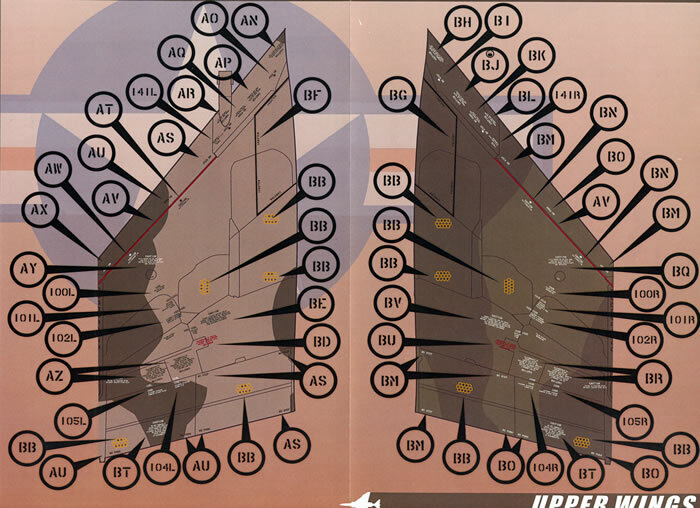 The way they have gone about it is to divide the airframe (including the ejector seats and the wing pylons) into different sections and supplying large A-4 sized sheets that show a full colour illustration of the section along with large and readable images of each item. Added to this, each decal is keyed by number or by letter with a large arrow pointing to where it needs to be applied. By approaching the task in this manner you will be able to work your way around the model in a sensible manner and carry out the task over a number of sessions and believe me, you will need plenty of time to apply the decals contained on the two sheets. 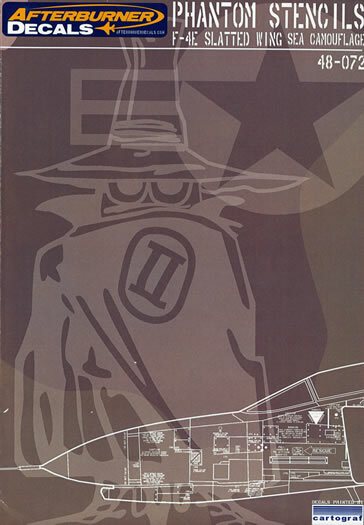 The stencil data itself is supplied in both black and white. 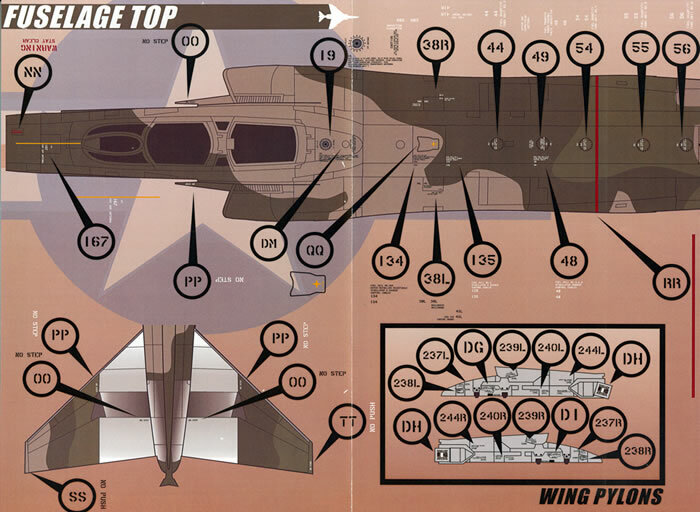 Attention to the placement guide reveals that the white decals are applied over the greens of the camouflage and the black items on the tan portions. This means that you will need to pay particular attention in applying the camouflage pattern if you want to get it right! The decals themselves have been printed by Cartograf and they have done a first rate job as everything is sharp and clear as well as being in perfect register. 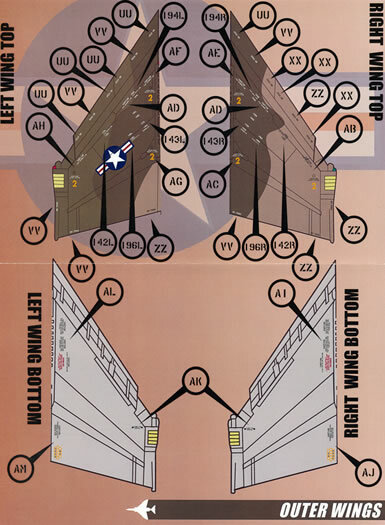 A set of national insignia is included as are a set formation lights (slime lights) for the wing tips, sides of the fuselage and the vertical stabiliser. 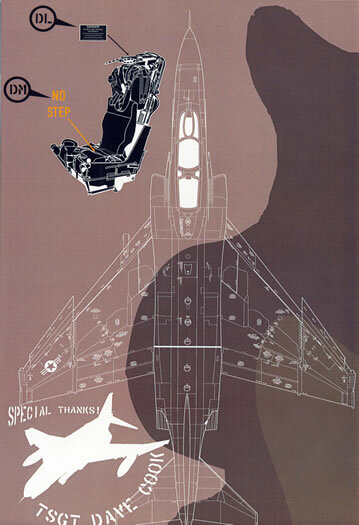 The two sheets contain a complete set of data for single F-4E airframe fitted with slatted wings. The two decal sheets and the five A-4 sized placement guides come packed in a clear plastic zip loc bag. 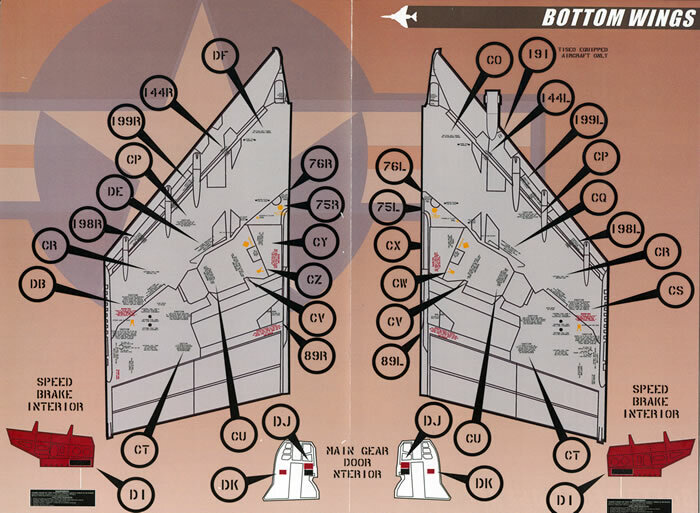 This is a well thought out and well produced sheet from Afterburner Decals. Whilst the task of correctly applying all of the items will not be easy by any stretch of the imagination the end result will be truly worth it.